So yesterday I hung around for a bit and went to the internet cafe while Alysha waited for the wind to pick up for her kite lesson. I went for a walk along the beach for a while it was really nice apart from the washed up dead chicken on the sand and the constant dodging of novice kite flyers. 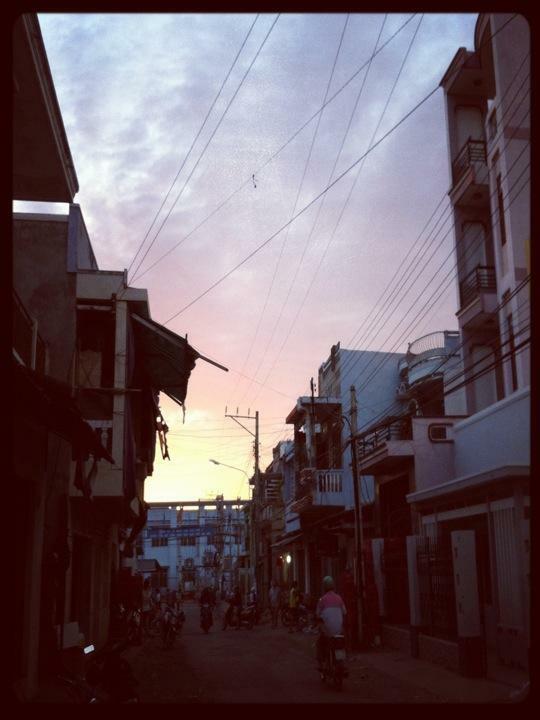 We decided that after my failed attempt at mui ne market and realising i got hoaxed by the taxi driver, so we hopped on the back of a scooter and headed to the markets. We left just before sunset so the scenery was beautiful! We passed the fishing village with the mot amazing views of mui ne!